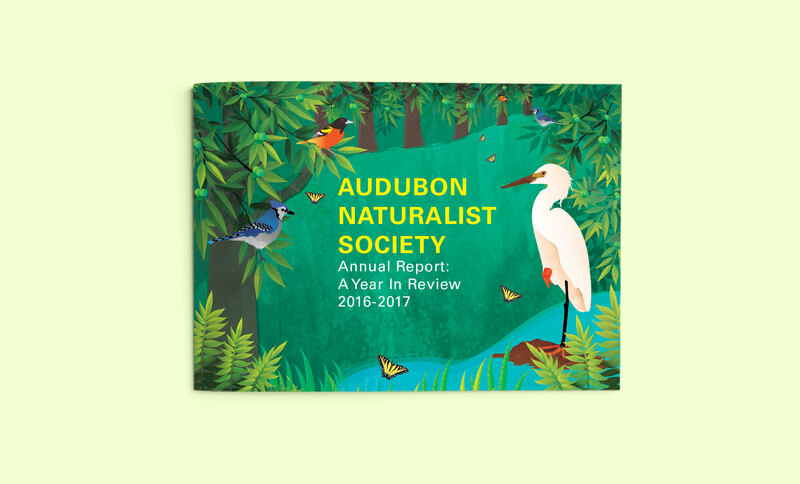 "The cover illustration is filled with native grasses, plants, butterflies and birds, and that theme is carried throughout the report." The Audubon Naturalist Society (ANS) is the oldest independent environmental organization in the Washington, D.C., region—a pioneer in linking conservation activities with environmental education. ANS reaches more than 9,000 children annually through its nature preschool and family, scout, school and camp programs. It also offers adults a rich variety of natural history classes, local outings, and national and international travel experiences. Seaberry was commissioned to design the ANS 2017 Annual Report, bringing a lively and authentic environmental design to its cover and inside pages. Designer Cherisse Lu wanted the cover to be true to the organization's roots in Maryland. 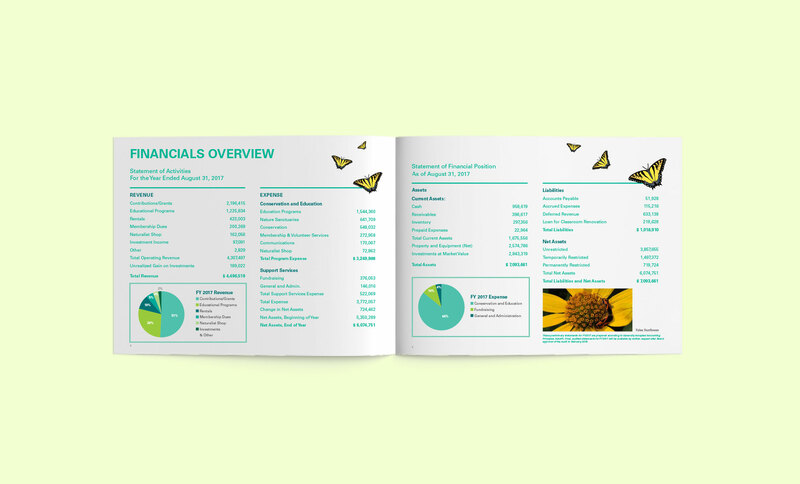 The illustration is blossoming with native grasses, plants, butterflies and birds, and that theme is carried throughout the report. 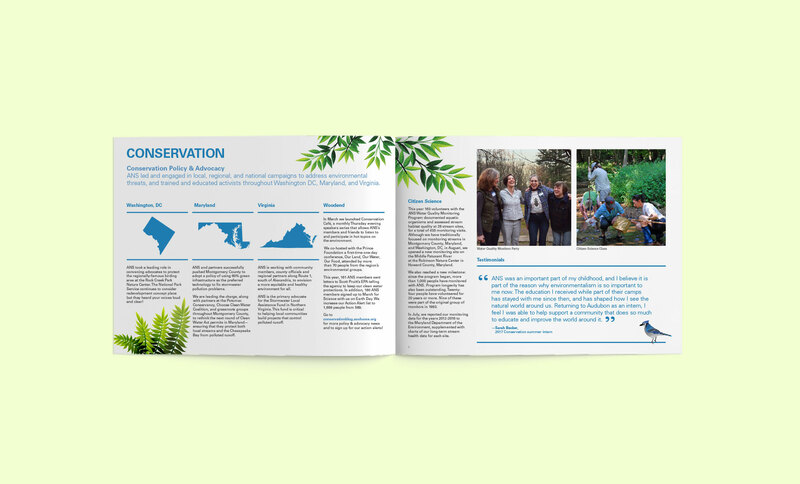 Cherisse wanted donors and program participants to enjoy reading the report in the same way that they enjoy experiencing ANS' Woodend Sanctuary and other nature programs. Even the ANS accomplishments of 2017, highlighted in the "ANS by the Numbers" infographic, are being witnessed by a flock of native birds. 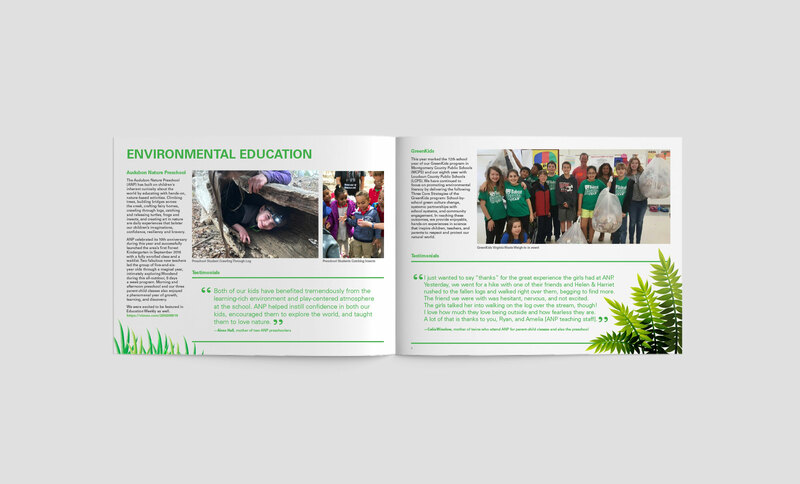 Seaberry designed the annual report for print and online distribution.